German Expressionist Prints from the Collection of Ruth and Jacob Kainen, NGA, Washington, D.C., 1985: no. 81. 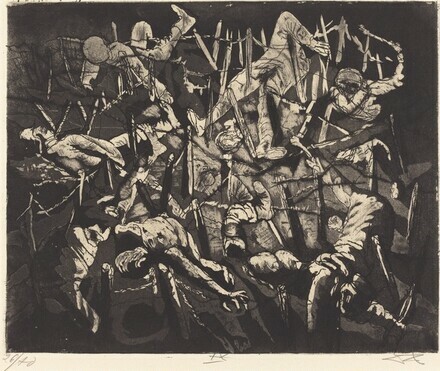 An Artist's Artists: Jacob Kainen's Collection from Rembrandt to David Smith, National Gallery of Art, Washington, 2002-2003, as Dance of Death Anno 17 from the series War. Karsch, Florian. Otto Dix; das graphische Werke.Hannover: Fackeltrager-Verlag Schmidt-Kuster, 1970.